DUBAI — Saudi Arabia has suspended a $3 billion aid package to the Lebanese Army to buy French weapons, according to statement by the Saudi Ministry of Foreign Affairs. Saudi state news agency SPA on Friday quoted an official source as saying that the kingdom also cancelled the remainder of $1 billion in aid it had earmarked for Lebanon's internal security service. The move has been described as an assertion of the kingdom's position toward the Lebanese government's weak political position in the country. "This shows that there is a consideration from the kingdom that the Lebanese government has very little control over the country's affairs with Hezbollah and Iran having the majority control over affairs in Lebanon," said Riad Kahwaji, CEO of the Institute for Gulf and Near East Military Analysis, a Dubai-based think tank. "Hezbollah has been blocking the election of a new president in Lebanon, and furthermore this has been proved as per the Saudi official's statement due to Lebanon's lack of support to Saudi Arabia in the international political arena like the Arab League where Lebanon has refused to support the Arab unanimous position condemning the attack on the Saudi Embassy in Iran,"Kahwaji said. "This was very offensive from Lebanon towards Saudi, in addition to the negative statements coming out of Lebanon from Hezbollah towards Saudi Arabia". The Lebanese Army received the first batch of the French-supplied weapons on April 20, 2015. At the time, French Defence Minister Jean-Yves Le Drian said the French shipments would include dozens of armored vehicles and modern artillery warfare, such the Caesar 155mm truck-mounted artillery system, as well as many other types of weapons. According to a senior Lebanese military official, the first arms shipment included mainly anti-tank guided missiles. The shopping list included 250 combat and transport vehicles, seven Cougar attack helicopters, three small corvette warships, and a range of surveillance and communication equipment over four years as part of the $3 billion modernization program. The contract also promised seven years of training for the 70,000-strong Lebanese Army and 10 years of equipment maintenance. In addition to the $3 billion military aid, Saudi Arabia had also promised an additional $1 billion grant to purchase arms and equipment to the Lebanese Army and security forces to help them in the ongoing battle against terrorism. On June 9, 2015, the U.S. State Department announced its approval of a foreign military sale at an estimated cost of $462 million. "This is a straight-forward military sale," Kahwaji said. "This was funded through a Saudi $1 billion grant that was given late 2014." Kahwaji said that the Super Tucano sale has reached an advanced level and should not to be affected at this time, and that if the Kingdom were to cancel the deal they would be subject to penalties. The American deals are also not expected to be affected as they were quick deals and negotiated directly, plus most of it has been cashed, he said. However, the French weapons aid is most certainly affected. It was supposed to be spent over a period of three years. Some of the amounts have been paid but what is left is what is to be spent over the next two years, Kahwaji said. In the agreement, no money has been given to Lebanon, whenever a contract was signed the Kingdom handed the money directly over to the arms supplier, Kahwaji explained. The security forces have received some of the equipment required, he added, such as unmanned aerial vehicles, ammunition, communications devices and spare parts. "I suspect the Ceaser guns may be affected as well as five 57-meter offshore patrol vessels," as well as Cougar helicopters and radar systems from Thales, he said. 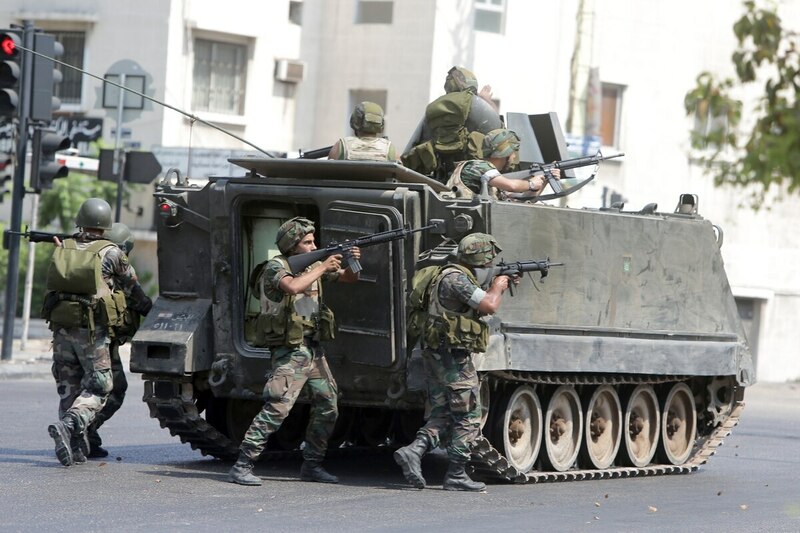 The aid provided by Saudi Arabia as well as the United states has boosted the firepower of the Lebanese Armed Forces (LAF) by about 30 to 40 percent, analysts told Defense News. Over the past eight and a half years Lebanon has received US military aid worth $1 billion, said David Hale, the US ambassador to Lebanon.